After three long months at sea, Merally Manjee landed at Belo sur Tsirbihina, a village on the west coast of Madagascar. He found refuge in a tavern where he listened to the amazed turbaned Gujuratis merchants, like him, telling stories of their fabulous trips where they spoke of spices, textiles and jewelry from which they made their fortune. The merchants were mostly settled in the North of the Big Island, Mahajanga, which became their second home. Merally Manjee also settled himself. It was here that he realized his dream: he founded a small company that over the years became one of the most successful businesses in the northern provinces of Madagascar. Merally Manjee was a hard worker, he was shrewd, tenacious, and persevering; qualities which he passed on to his son Akbaraly Merally whose innate business sense made him one of the most skilled entrepreneurs of the Big Island. The business he started became very successful and he saw an opportunity to expand over the decades. Sermamod Akbaraly, grand-son of Merally Manjee, was chosen to carry on his fathers legacy and went on to build upon their success in the Malagasy Capital, Antananarivo. Sermamod Akbaraly created SIPROMAD in Antanarivo, which soon earned a reputation throughout the country due its significantly diversified activities. Meanwhile, the son of Sermamod, Ylias Akbaraly has gone beyond the dream of his ancestors from Gujarat in the early 20th century: making SIPROMAD one of the most prestigious conglomerates in the region. 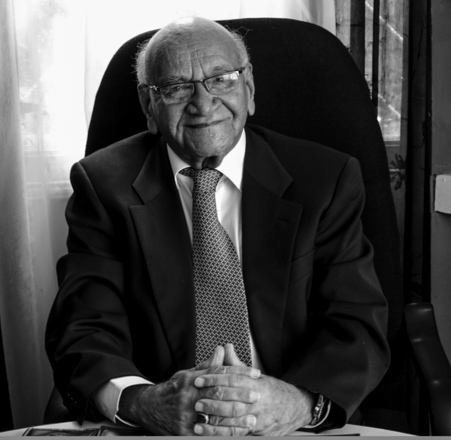 Considered the wealthiest man in Madagascar, Ylias Akbaraly has been Chairman of Groupe SIPROMAD since 2000. He works toward transitioning the company from a family business to a well-diversified conglomerate with a married presence in several key industries of Madagascar, namely, Tourism, Manufacturing, Energy, Technology and Real-estate. The Group has generated a solid asset base in Madagascar through a series of strategic mergers and acquisitions. Ylias Akbaraly has also developed highly successful business on the international front which are now the leading arms in terms of contribution to the Group's financial might.